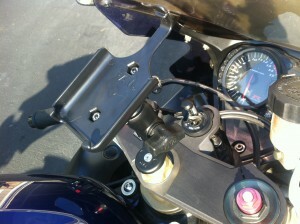 RAM Mounts for iPhone 4 — Installation and Preliminary Test Results | FTLapps, Inc.
TrackDay GPS Accuracy highlights the importance of an effective iPhone mounting strategy, and lists RAM Mounts equipment as a reasonably inexpensive ($43.37 plus shipping) solution for mounting your iPhone on just about any sportbike. With the prompt arrival of the product (shipped the day of our order direct from RAM Mounts, AKA National Products, Inc.), we put our crack installation team to work. The process was slightly more involved than we had anticipated, requiring a saw (to cut both ends of the rubber “stopper” to the right size) and a 5mm hex wrench (not included), which seemed to be about the only hex wrench size we didn’t have readily available. After cutting down the stopper, selecting the largest washer (one of six sizes) and nut pocket with gripper teeth (one of six sizes) that would fit in the hole at the center of our 2006 Suzuki GSX-R1000 triple tree, we assembled the pieces that made up the RAM Stem Base with 1″ Diameter Ball (RAM-B-342U), and moved to complete the installation on the gixxer. After initially torquing the flat head machine screw several turns, our makeshift, slightly smaller than 5mm hex wrench slipped. Fortunately, carefully hand-torquing the stem base was sufficient to complete the process satisfactorily. 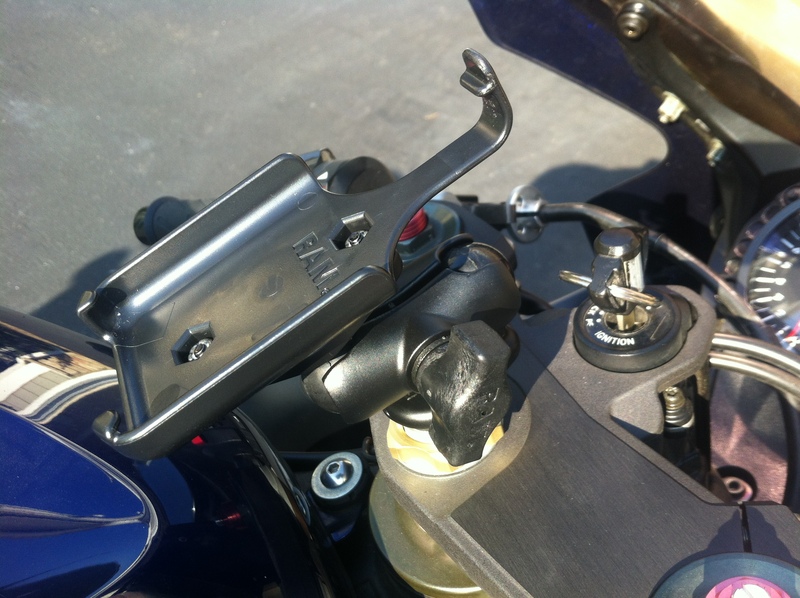 Next, we added the RAM Mount Aluminum Short Dual 1″ Socket Arm extension (RAM-B-103-A-238U) and RAM Mount Holder Cradle for the Apple iPhone 4 (RAM-HOL-AP9U). The double-ball mounting system is infinitely flexible. 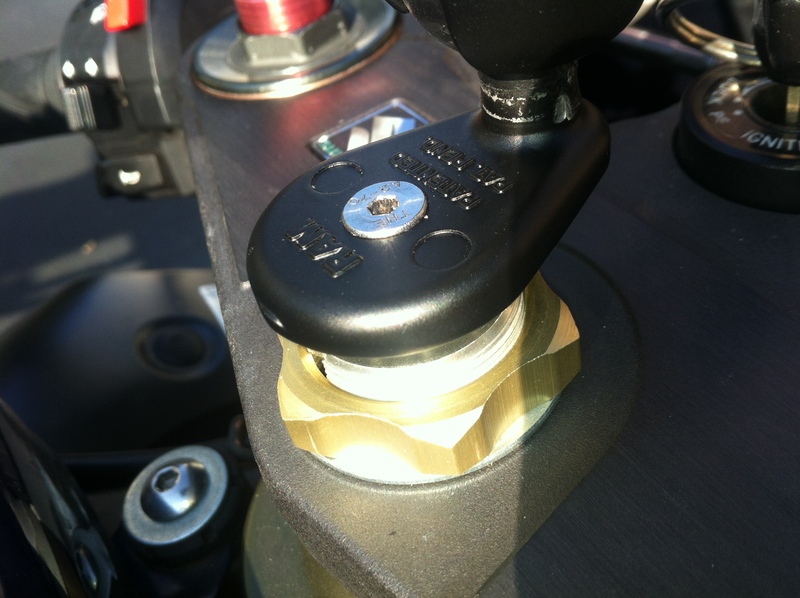 Although, our choice of the 1″ socket arm did limit the range of positions that were possible. 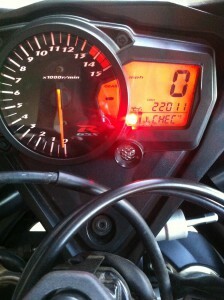 Pushing the unit forward positioned it with view of speedometer, but blocked the key. 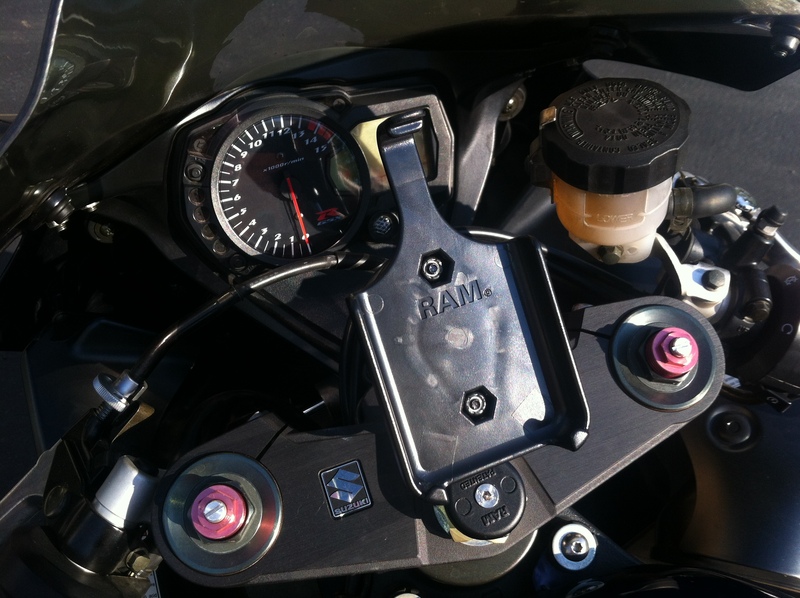 Positioning the unit back seems to provide a more usable solution — one that doesn’t interfere with the key — and appears to have sufficient clearance to avoid being hit by our rider’s helmet while fully crouched behind the windscreen. With the mount positioned with a forward view, we quickly discovered that the stock iPhone 4 will not be replacing the GoPro camera solution any time soon. 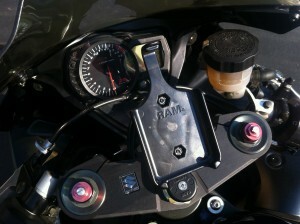 The dramatically lower field of view from the iPhone lens provides effectively no view from this position; unless the view you want to capture is the motorcycle’s control cluster. But, what is evident by noting the hole in the triple-tree in the video vs. the stills above is that the GoPro (from our tank mount) should capture amazing footage of the iPhone screen! 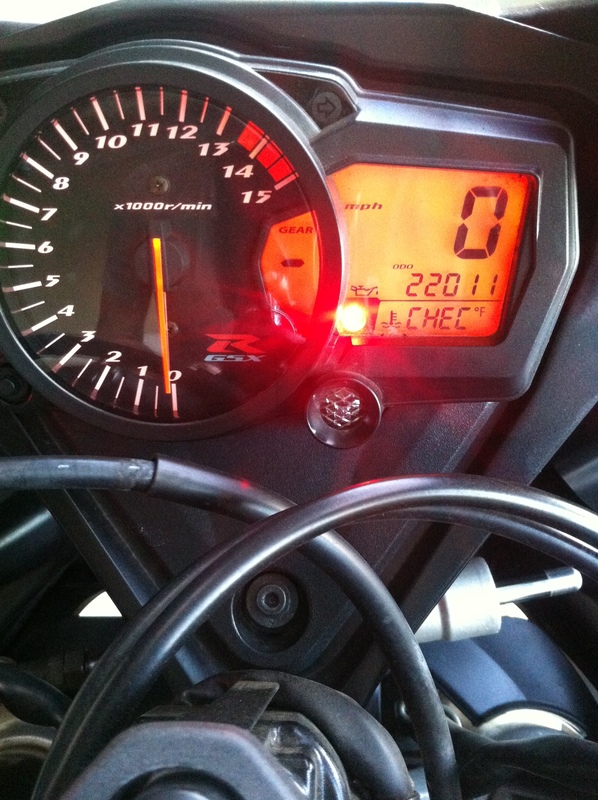 This will be useful with the Trackday apps, since the upcoming 1.2 release will feature enhanced instrumentation. If you’ve tried the RAM Mounts or other solutions for mounting your iPhone, let us know what you think of them in the comments below!